Your body is nothing more than a machine of many organ systems working together to keep you alive. I want you to change your perspective and see yourself not as a person or a machine, but as a city of trillions of cells. Each cell does its own specific job so the whole body can work. Most of your bodily processes are contained within specific organs covered in membranes. However, the majority of your mass comes from your bones, muscle, fat, and skin. Your muscles are a series of fibrous cells linked together to form long strings. Each string is then bundled and bundled again to work as a team to move the dense bones in a pulling motion. Every movement you make is caused by a pull of a huge number of muscle cells. In order to maximize movement, your muscles are layered. 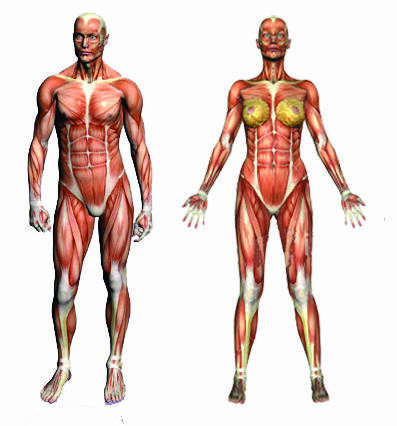 The inner muscles, also called your deep muscles, are responsible for the basic movements of the skeleton. The outer muscles, also called your sprinting muscles, are responsible for quickly lifting parts of the skeleton for twitch-like movement. Technologies with screens lead us to constantly look forward, locking our heads in a forward position. We lock the small muscles at the back of our skull while relaxing the muscles of our jaw to allow our tongue to more comfortably sit in our mouths, ready to speak. There’s a reason double chins are so common: fat is deposited over weak jaw muscles. Writing and typing leads us to develop very dextrous fingers but we often lock our shoulders to our neck in order to better manipulate our fingers. 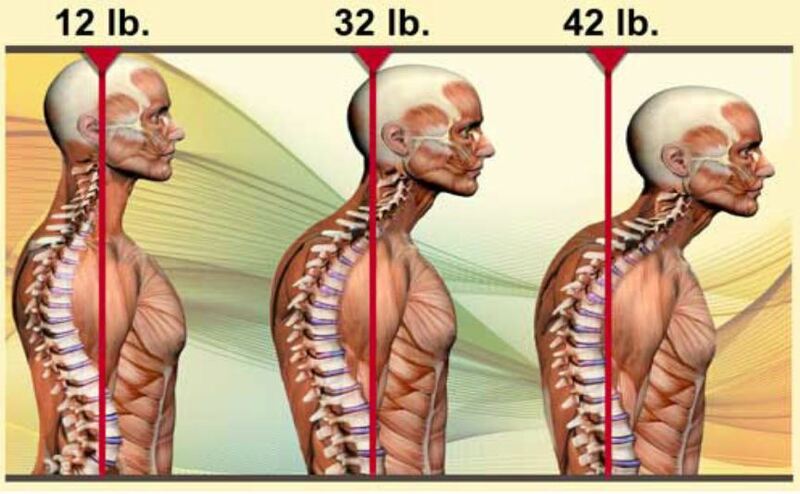 This condition is known by chiropractors as upper cross and it is becoming a more prevalent issue. Now is the time for some self-diagnosis. You have access to the Internet and more diagrams than you could possibly want. Explore your body, determine which muscles are tight and which ones are under-used; those are the ones that are likely covered with fat. You have proprioceptors to help you find every muscle in your body, but you likely don’t have access to all of them right now. Sedentary society usually only needs short bursts of movement between sitting so your sprinting muscles totally take over while your deep muscles relax.